Yibin Tuo enjoy the equal popularity with Chongqing Tuo in history. Yibin TF was established in 1952 and is the earliest specializes in refined black tea export enterprise. The tea is made of Sichuan tea "Chuan Cha" by traditional manner and modern methods (hong qing, shai qing and chao qing) and pressed to tuo cha form. 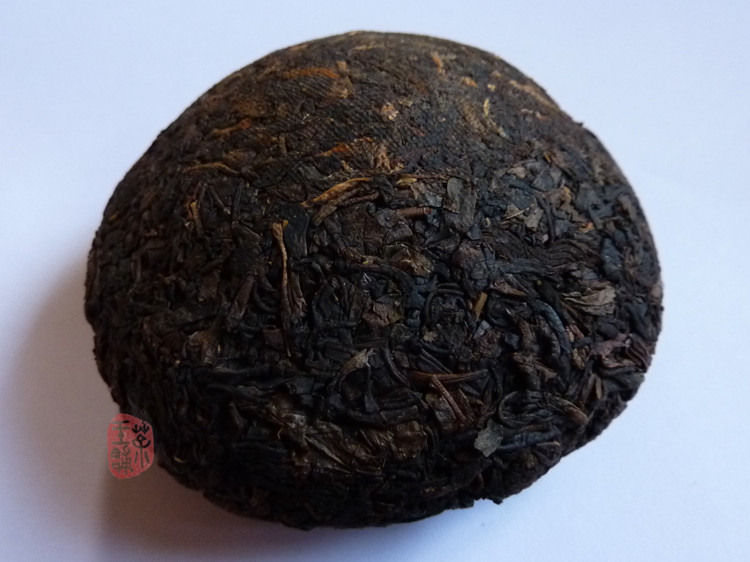 This tea is really good example of great storage aged dark tea. First few years stored in Sichuan and later moved into very good storage in Guangdong by a puerh and heicha tea collector, no signs of mold or other negative weirdnesses which could make the tea a pain to drink! Wrapper of this tuo is very frail and easy broken. 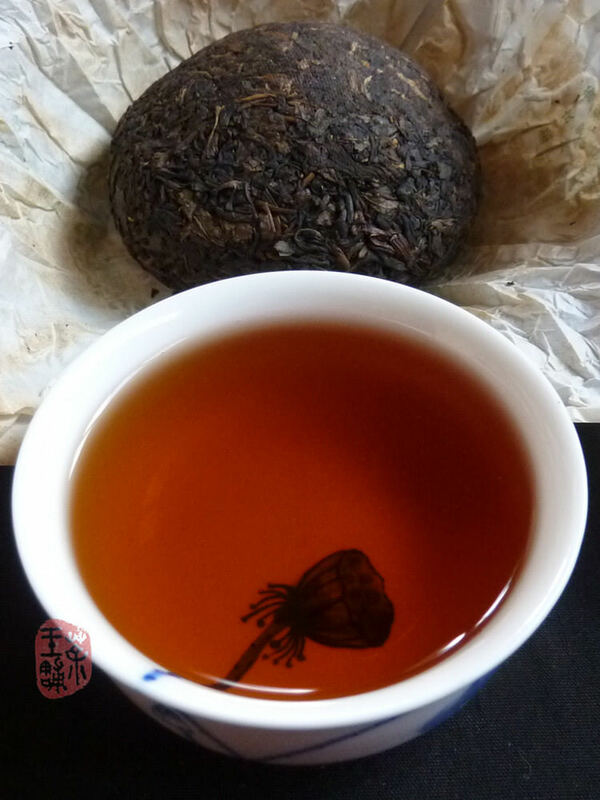 Brewed tea is deep brown reddish in first infusions and sparkish golden in later infusions. 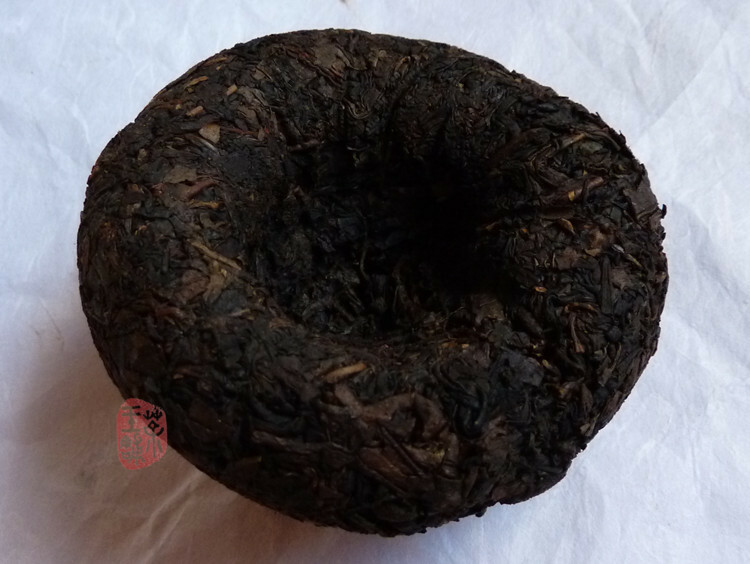 Taste is similar with well aged raw puerh. Full and smooth, sweet, rich but very balanced. Clear, honey without any earthy tones. Late infusions are very pleasant too, heavy floral aroma and sweet liquor. This tea is great for gong fu tea ceremony. We also offer 10g sample !